ProPhotonix Limited, a designer and manufacturer of LED illumination systems, laser diode modules and a laser diode distributor announces an expansion to its LED product line. In accordance with the Company's aim to remain a market leader in its field, it has extended its LED offering to include new products using enhanced optical configurations and new IR and UV wavelengths. ProPhotonix engineers have leveraged advancements in LED technology to increase the intensity across the range giving end-users additional options when designing solutions for today's complex applications. 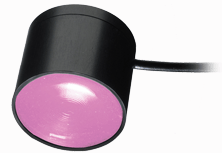 SpecBright Spotlights: are now available in UV and White options. They feature up to 3 times the intensity previously stated and two new diffuser options for applications requiring a more uniform spot. 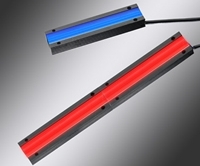 SpecBright LineLights: are now available with up to 7 times the intensity previously stated, a broad beam option (LN1) suited to areascan applications, and three additional wavelengths, 370nm, 395nm, and 870nm. 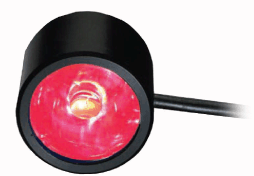 SpecBright AreaLights: now produce up to 5 times their prior intensity and are available in an 870nm version. Mark W. Blodgett, Chairman and CEO, commented, "We are committed to our planned R&D program to broaden our product offerings and strengthen our position as an innovative illumination solutions provider. The additions to the Spec Bright product line are an important step in that direction. Machine vision integrators, OEMs, and end-users require brighter and higher performance illuminators without compromising on system space. SpecBrights utilize our unique Chip-on-Board technology, enabling us to engineer uniform, high intensity, compact illuminators which can meet customers demanding inspection requirements."